already been resolved with an upcoming application update. Samsung always encourages users to keep software and apps updated to latest version. 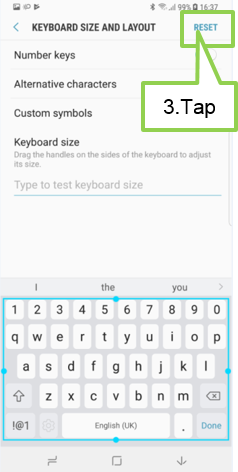 Tap setting > Tap Keyboard size and layout > Tap RESET .